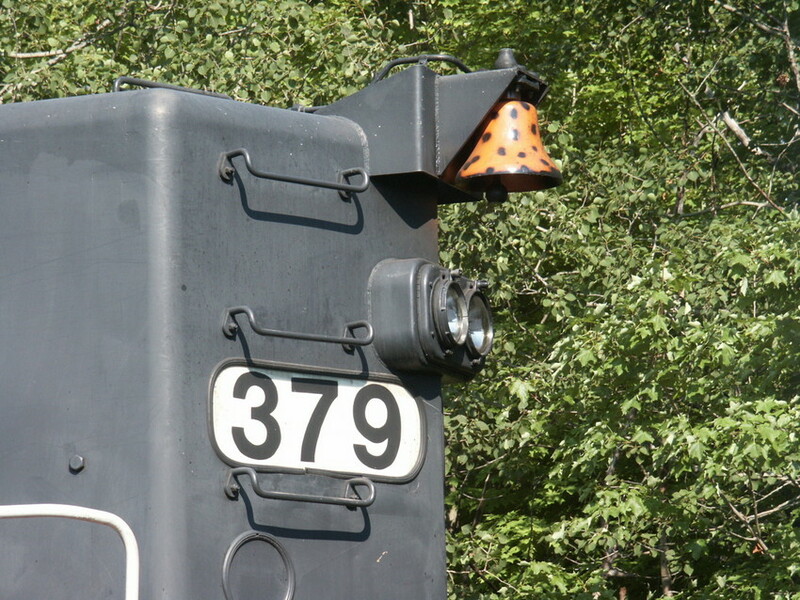 Seen here is 379 with an orange and black polka dot bell. This was on a eastbound train sitting at Newfields NH waiting for a crew. Photographed by Jon M. Landry, August 18, 2008. Added to the photo archive by Jon Landry, August 19, 2008.